ITC in collation with MOTIE and UNDP is seeking a Consultant, with experience in business incubators or working with start-ups, to design and execute a feasibility study regarding the creation of a tech hub in Gambia. The selected service provider will work under the supervision of the ITC focal point for the IT sector development component, and under the overall supervision of the YEP project manager and the project manager of the Entrepreneurship and Private Sector Development Project. Undertake desk research on different startup support systems, with a focus on sub-Saharan Africa. Identify the key characteristics that distinguish these different models from each other. Present the business models of at least 5 well-functioning tech hubs spread across at least 3 sub-Saharan African countries, among which at least 1 Eastern African country. The information must be sourced from the tech hubs’ respective managements or online presence. Also include at least 2 cases of tech hubs that failed, as recent as possible. Conduct interviews with the founders of at least 3 sub-Saharan tech hubs to find out what it took them to set up a successful tech hub, which costs were involved, which difficulties they ran into along the way, and why they think they succeeded. 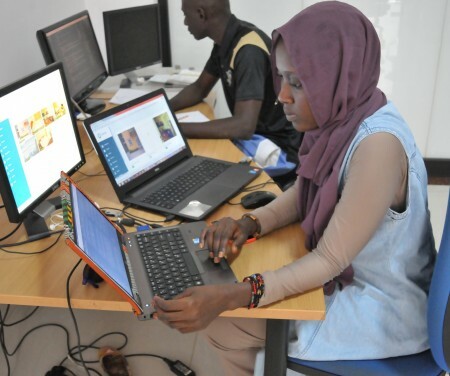 With the help of ITC’s network in The Gambia, contact at least 10 local tech start-ups in various stages of maturity and ask which specific services they would be likely to use. Also inquire which of the found types of support system would be most attractive for them to work with. Include in the report on this section how easy or difficult it was to find relevant start-ups. If few start-ups are found, consider the option of providing support for the creation of new startups, such as digital literacy and technical skills training. Ecosystem mapping in The Gambia: besides making an inventory of the (wishes of the) local beneficiaries, also determine the availability of potential partners that might work with the hub, e.g. financiers, direct service providers (to startups), educational institutions, etc. Define a reasoned selection of 3 business models that would be applicable for a tech hub in The Gambia, considering feasibility in terms of costs, as well as market/need for the types of services provided in each model. Specify which option is to be preferred in the researcher’s opinion, and why. The finished report should also include a financial business plan (at least 2 scenarios). have ample experience in working with start-ups, and preferably specifically with or in business incubator environments. have ample experience in conducting autonomous research, both desk-based and interview-/field-based. have intimate knowledge of the current business climate in The Gambia, including laws and regulations, and with a specific focus on the tech sector. be proactive in seeking the approval of ITC for her/his methods and intermediate findings. be ready to work with a local consultant in this exercise. Please find the complete Terms of Reference here. All proposals should be submitted to bsallah@intracen.org , abadjie2000@gmail.com or ADDRESSED TO: Permanent Secretary, MoTIE, Independence Drive, Banjul or Project Manager, YEP, EDC House, Bakau. The deadline for submissions is Friday, 7 December.